If you're on a board or committee there will be times when you need advice from somebody who has experience in dealing with the wide range of issues that may arise. 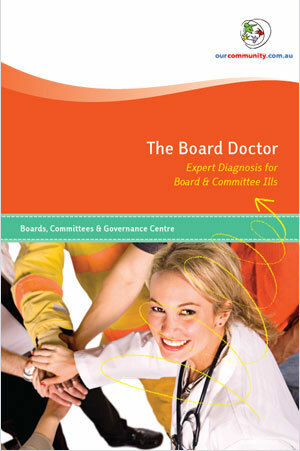 The Board Doctor provides tips, ideas and solutions from a range of experts who have contributed to our newsletters and annual conferences. Our Community have brought together these experts to provide answers to a range of easy to follow exercises. They know the law, they know what has worked in practice, and they trust their judgement, because they've been in the trenches.